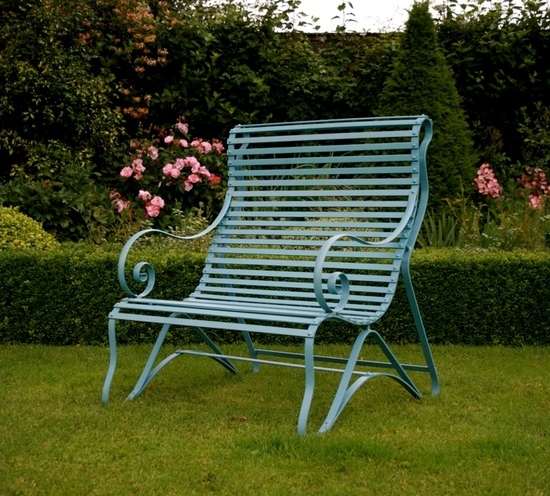 Ironart sell a beautiful collection of decorative wrought iron garden benches, chairs, tables, braziers, fire pits, rose arches and accessories for the garden. All these pieces are hand made by a small team of artist blacksmiths in South West England. Their craftsmen combine traditional metalworking techniques with the very best modern materials and processes to create products of outstandingly high quality. Each piece is individually hand crafted using solid-bar mild steel in the Ironart workshops in Larkhall on the edge of Bath. All Ironart garden furniture and structures are fully galvanized (zinc coated) before they are painted to ensure they need minimum maintenance and will offer a lifetime of enjoyment. Andy Thearle and his team have a compelling ethos: "We are passionate about the craftsmanship of everything that leaves our workshop. We believe that our British made, heritage-inspired products are the 'antiques of the future' that will enhance any space in your home or garden, and leave a legacy for the next generation."